There are 3 most common types of installation of your new hardwood floor. First of all, your subfloor needs to be prepared properly in order to make sure that it will last for a long time. A floating floor is engineered hardwood that is installed by attaching each board to the next without any adherence to the subfloor. The boards are attached using a bead of glue on the tongue or by a click-together system. Floating floors are easier to install for a DIY project and can generally be installed over existing flooring such as tile or vinyl. When nailing or gluing flooring down, each board expands and contracts independently. 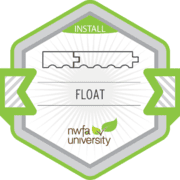 On a floating system, the entire floor moves as one unit which will help reduce any cracks between boards in areas of fluctuating temperature/humidity levels. Floating floors can also be sanded dependent on how thick the wear layer is. Glue is primarily used to attach hardwood flooring to fully cured and dry concrete substrates or wood when nailing is just not an option. 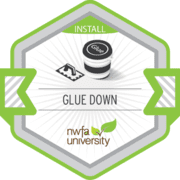 Glue is also used as a sound reduction barrier and can help soften the transfer of noise when hardwood is installed in applications such as apartment buildings and high rises. 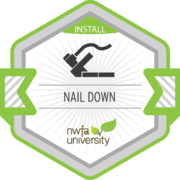 Hardwood that is installed using the nail down method can tend to have higher noise transfer between floors. 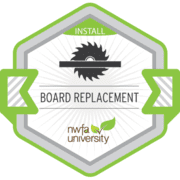 In some cases when installing plank flooring 4” and wider, nailing and gluing the boards are recommended. Ready to install your new floor? When you pick a floor type that fits your needs, contact us.